It is known as the Tartan Heart Festival – and now Belladrum has launched its own plaid to live up to the name. The Inverness-shire festival is the first UK music event to have its own officially registered tartan. It has been designed by Black Isle-based Prickly Thistle and a range of clothing is now available in its distinctive green and red plaid under the brand name Naked Highlander. The Belladrum tartan is now registered with The Scottish Register of Tartans, forming part of the National Records of Scotland. Festival promoter Joe Gibbs said: “With it being the 14th Tartan Heart festival, we thought – let’s launch our new tartan on the 14th day of February, St Valentine’s Day, a day unavoidably associated with all kinds of hearts. 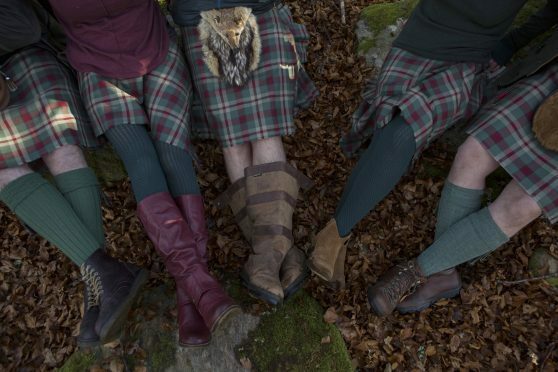 Prickly Thistle’s Clare Campbell said: “The design of the tartan picks up on the red of the logo and the greens of the various lichens and mosses around the estate and festival site. “We were thrilled when a senior figure in the Scottish tartans world said that our Bella design was the most attractive he had seen. This year’s Belladrum, held in August, will feature headline performances from Sister Sledge, KT Tunstall and Franz Ferdinand.